Build mighty longships , raid nearby settlements, navigate the wild seas and discover new horizons. Players will be competing in an epic competition to collect the most runestones and earn the highly coveted title of Chieftain. 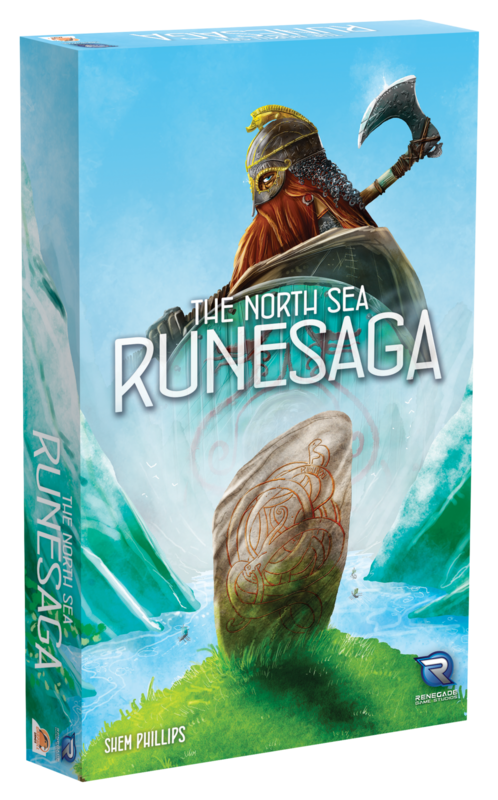 The North Sea Runesaga is an epic competition for 2-4 players to collect the most Runestones and earn the highly coveted title of Chieftain. 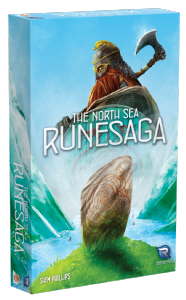 Players will progress through each chapter of the North Sea saga (Shipwrights, Raiders and Explorers). Once all 3 chapters have been played, the player with the most Runestones is the overall winner and takes the title of Chieftain! *This is not a standalone game. ​​​​​​​Explorers of the North Sea is set in the latter years of the Viking Age. As ambitious sea captains, players seek out new lands to settle and control. Shipwrights of the North Sea is set in the early years of the Viking Age, circa 900 AD. As Viking shipwrights, players compete to build the greatest fleet on the North Sea. Fields of Fame brings a new dynamic into Raider software the North Sea with the addition of Jarl tokens being mixed in with the Plunder and Valkyrie. Hall of Heroes brings in new ways of gaining resources, acquiring crew and scoring Victory Points to Raiders of the North Sea. Raiders of the North Sea is set in the central years of the Viking Age. As Viking warriors, players seek to impress the Chieftain by raiding unsuspecting settlements.